This page contains valuable information intended for licensed skydivers seeking professional assistance in the further development of their current level of proficiency in formation skydiving, free-flying and canopy piloting. 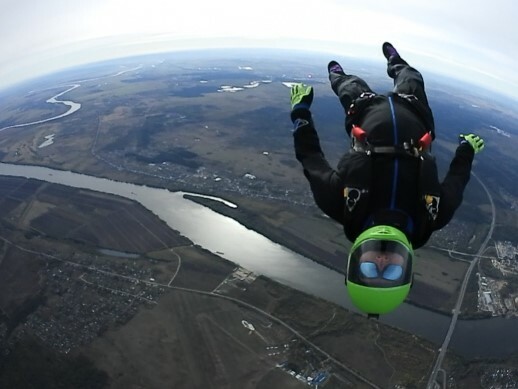 The Flight Club skydiving school, located at Aerograd Kolomna near Moscow in Russia, employs various strategies to effectively facilitate skills development, with each of these strategies requiring a different level of personal commitment/ engagement by the skydive student and by the coach: skydive organizing, skydive coaching and skydive mentoring. If you want to fly with a personal skydive coach, feel free to visit us anytime at the Flight Club skydiving school. In order to keep it fair for everybody, we accommodate walk-in booking requests on a first-come first-serve basis. To reserve your personal slot prior to your arrival at the drop-zone, please send us a booking request. They want to have fun, pick-up some new tricks in a safe learning environment and ultimately, feel welcome to and become a part of the resident skydiving community. All this, can become somewhat tricky at times, especially for younger skydivers who don't really know anybody on the drop-zone and do not yet possess the in-air skills necessary to just walk up to any group and sneak onto any random skydive. Similarly, things do get tricky, when skydivers of varying experience levels are planning group skydives without adult supervision and/ or guidance. Typically, that ends up with the better flyers being off on their own trip and the rookies lost alone in space somewhere. The glue, so to speak, successfully bonding all these variables into safe, fun and achievable skydive, is the skydive load-organizer. 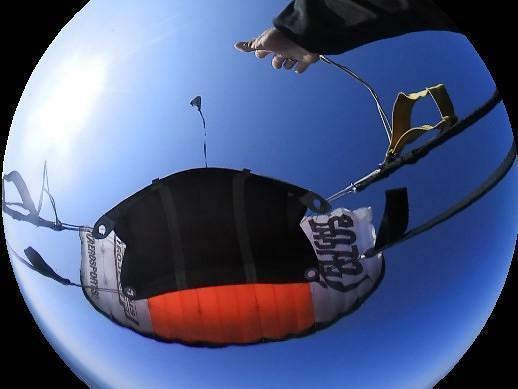 An experienced veteran skydiver, the load-organizer learned to accurately read the situation on the field, realistically gauging each individual player's level of skydiving proficiency. 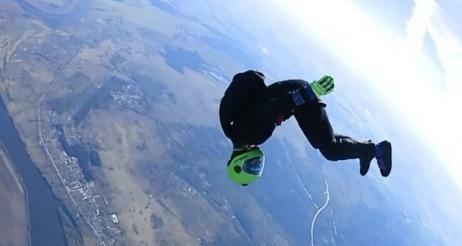 Skydive organizers cater to different disciplines of the sport. 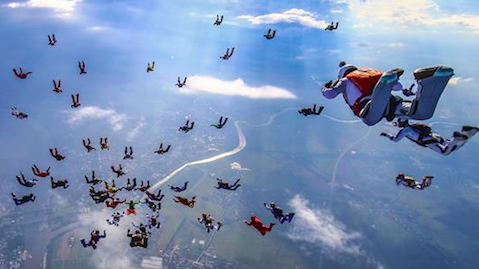 In Flight Club, we organize formation skydiving- and free-fly jumps of all colours. It is the load-organizers job to assemble individual skydivers of compatible (not necessarily equal) skill level into groups and assist in designing and planing a safe skydive. The high art here is, to create a dive-plan which assigns interesting tasks to each participant allowing for them to push the envelope a little bit and yet, this plan needs to stand a realistic chance of actually being successfully accomplished. After all, skydiving is only cool if it actually does work out according to plan every so often. 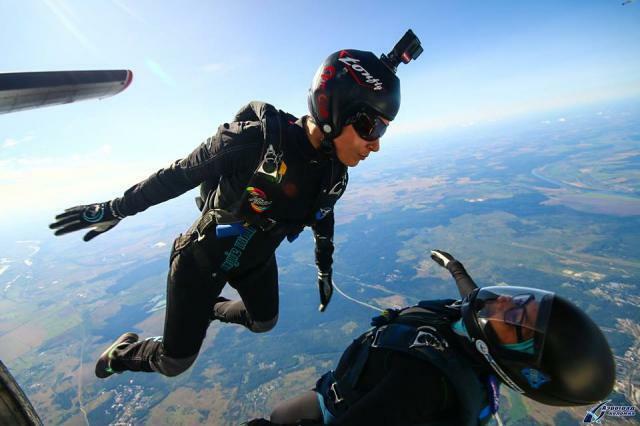 Following the jump, the skydive load-organizer conducts a debrief in a fun and non-judgemental environment, pointing out positive elements of the dive and sharing some tips and tricks which allow for improvement the next time around. Everybody can participate in an individual or in a series of skydives and at the end of the day, it should have been a great day out with friends on the drop-zone. Skydive organizing ranks as the first level of commitment on the student-coach engagement scale, as by nature, only a short- term commitment (jump-by-jump basis) is required from either side. Every skydiver has a dream of what they want to be able to do some day. In order to actually get there though, the trick is to first come up with a road-map guiding you to a series of specific, measurable, achievable, relevant and trackable way-points. In skydiving lingo, we call this road map the "skills development progression grid". 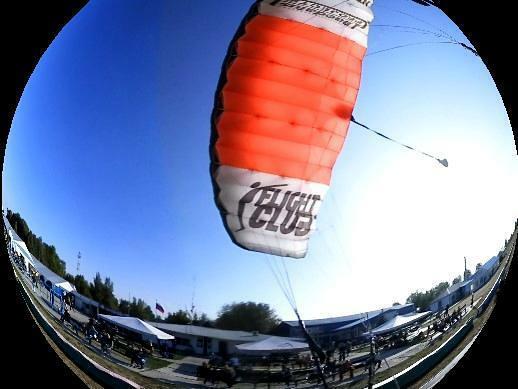 In Flight Club we do not host specialty event canopy piloting camps in a reduced altitude environment (other than the canopy piloting mini-course required as part of the USPA B-license qualification). We embrace a holistic approach towards skydiving and to us, canopy piloting is what it is: half the sport. Accordingly, it gets its fair share of attention from us. All students are being assigned a specific task (or a series of specific tasks) for canopy piloting practice following each and every free-fall training jump with a Flight Club coach. Of course every skydive starts latest with the exit and, as we all know, to keep everybody together during the first 5 seconds out the door is kind of a pre-requisite for any successful skydive. Accordingly, there is an exit progression incorporated into the above 5+1 module series as well. We do understand the fact that everybody wants to learn to fly head-down right here, right now and to go angle-flying with their buddies tonight on the sunset load. We do appreciate the ambition. Everything starts with a dream after all. What we do not appreciate though, to be perfectly honest, is the "right here, right now" and the "tonight" portion of this so common introductory statement. In Flight Club, we coach for a living for 20 years or so and have literally skydived with thousands of people in the process. Obviously, since we get paid to get you to where you want to go, we do want for you to get there asap. What we need from your side to make this happen, is trust. Trust in the fact, that we do indeed know exactly what it actually takes to make that asap criteria happen. If you work with us and follow our lead, we can pretty much guarantee, that you will walk out with a smile and a feeling of accomplishment when it's all said and done. What we kind of do not want, is to settle for an un-realistic time parameter in your goal setting and as a result watch you run your head into the wall trying to learn something that you have no chance of accomplishing. Not because there is something wrong with you, simply due to the fact that you lack the foundation to actually pull that particular trick at that particular point in time. Accordingly, we do insist, despite all flexibility and openness to custom-tailor your training towards your personal need, that you demonstrate what you bring to the game in an introductory skill assessment jump. We will design a custom training plan for you together after this initial skydive and take it from there one thing at a time. Cool? Flight Club charges a variable per week fee based upon the total # of hours your project engages our representative during each respective calendar week. The total # of hours we spend working on your project every week may vary as per your need. You can choose freely from one calendar week to the next calendar week for how many hours you want us to engage. Accordingly, we invoice you separately for each week. A non-refundable downpayment in the amount of USD 1,000.00 is obligatory in order for us to enter into any kind of mentoring agreement. This amount will be forward credited to your account. Please understand, that it is hereby of critical importance, that these different flight attitudes be mastered in succession, since each preceding flight attitude serves as a go-to recovery position during training of the succeeding flight attitude. In addition, individual skill sets (i.e. motor-skills, inner balance, spatial awareness) a skydiver picks up while mastering a certain flight attitude, serve as a base upon which the next (and more difficult) trick is being built upon. 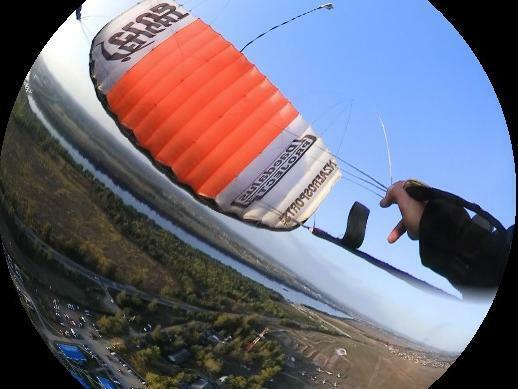 Skipping or combining steps makes this base less solid and thus, increases the chances of a skydiver biting his teeth out when trying to learn the follow-up trick. The exception to this rule is angle-flying which, at least in an introductory form, can be incorporated into training jumps of other flight attitudes through the inclusion of associated post-exit fly-away drills and altitude adjusted break-off scenarios. Transition training requires on average 5 additional training jumps. Once the neutral position of the new flight attitude has been locked in, the 5 + 1 module series starts over from the top, with the new flight attitude being the focus going forward. 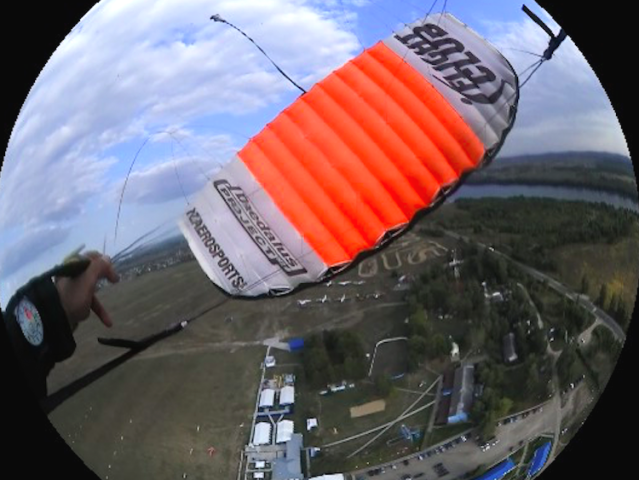 Over the course of events, you'll learn all relevant exit scenarios starting with rear-float, centre-float and front-float exits, that is including the associated uphill fly-away tricks, before progressing to dive exits and the respective downhill fly-away tricks. Flight Club offers mentoring for all those amongst you, who have a skydiving dream and need a little help to make that all happen. Teaching skydive students is obviously not the only way to make money in the sport. There are plenty of other opportunities for a professional career in the world-wide skydiving industry. You can work as a pilot, mechanic, drop-zone operator, in marketing, in all kind of associated manufacturing sectors, as a rigger, as a canopy test-pilot, in the military sector, in the IT sector, in photo- and video production and post-production etc. etc. For all those amongst you, out there on a skydiving mission of some sort and looking for professional support and guidance along the way to make things happen, this might be for you! During earlier days of skydiving, knowledge was typically passed on from individual to individual in what might best be described as friends sharing experience, knowledge and their personal approach to mastering certain skills sets with each other on a random case-by-case basis. Those really, really lucky might have found a seasoned skydiving buddy to consistently provide them with expert advise over a prolonged period of time, in a role-model style approach, or personal mentoring format. During the mid 1980s and early 1990s, with the large scale rise of turbine aircraft and the associated hike in ticket prices, came a need to find a more time-efficient and therefore more cost efficient approach to learning. Professional competition teams everywhere were scrambling to pimp out there continuity- and training plans and were looking for ways to expedite the individual participants' personal skills development process. What was needed to achieve all that, was a well structured simple to complex free-fall skydiving and canopy piloting skills progression grid, an improved understanding of the individual skydiver's learning process and professional-grade coaches with expert level teaching proficiency and in-air abilities. In short, the professional top-end of the sport had realized that we needed a legitimate approach to coaching in sport skydiving. The skydiving world got exactly all of that with the release of the "Basic Body Flight Coaches Program" in the early 1990s. 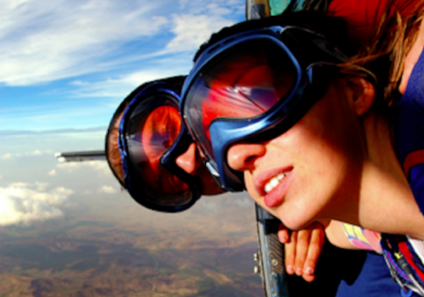 With it, skydive coaching was first legitimised as a professional activity. With no shortage of skilled flyers around, the notion that all the sudden one needed a structured concept as well as a professional education as a teacher in order to show a rookie how to push some air around, in an easy similarity to today, did not immediately find a lot of approval amongst intermediate level skydiving gods. The idea alone almost caused a revolution. But, as it goes in any sport, results are what counts and ultimately, in a top-to-bottom trickle down effect, news of the overwhelming success of the new coaching concept soon spread like a wild-fire throughout the world skydiving scene. And thus, professional skydive coaching found its wide-stance, permanent footing in the industry. Credit is due where credit belongs and it is safe to say that none of this would have happened the way it did without the united efforts of legendary skydivers Robert Laidlaw, Craig Buxton, Danny Page and members of the original Arizona Airspeed team. With the inception of Skydive University Inc. in DeLand and Sebastian, FL, USA, the culture of professional skydive coaching was disbursed into the world via satellite campuses in Arizona, California and New Jersey, through the distribution of quality educational material and through the company's international coach certification course program. These original coaching programs have provided the very foundation for the International Bodyflight Association's (IBA) wind-tunnel instructor- and student training programs and have been incorporated, in some form or the other, into the student training syllabus and into the instructional rating hierarchy of the United States Parachute Association. And that is pretty much where we stand today. Flight Club founding members belong to the generation of skydivers that has eye-witnessed the rise of professional coaching in the sport. The success of their skydiving careers can be directly attributed to having been coached and mentored throughout most of their careers by Skydive University founding fathers and by their respective professional counterparts and partners at Skydive Arizona in Eloy. 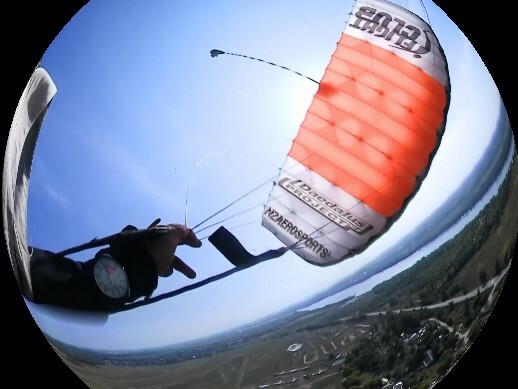 And thus, until today, the focus in Flight Club lays squarely on our skydiving coaches and instructors applying professional-grade standards of teaching proficiency to the established skydiver skills development grid. equipment knowledge, effective motor-skill development during the preparation phase, psychological aspects of the in-flight phase, correct execution of biomechanic principles and mental toughness in-air, increased situational awareness and sound decision making processes under canopy, systematic detailed skill analysis and SMART debriefing sequences. Last but not least, we understand that the more fun you have during your training, the better your chances to ultimately apply all this. Accordingly, we facilitate your training on an eye-to-eye level and foster a training environment where mistakes are not only ok, but recognised as an integral part of the learning process. 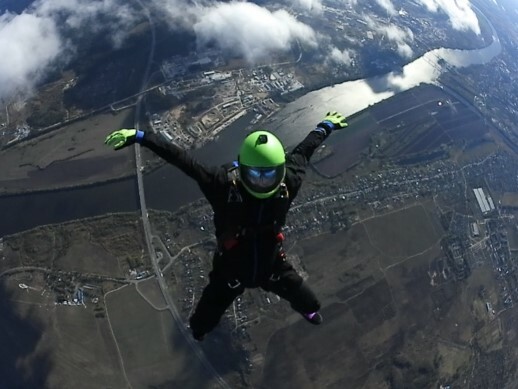 The Flight Club skydiving school at Aerograd Kolomna fields experienced organizers who will play with you and your friends for USD 12.00/ jump/ participant. (including: briefing, in-air and landing video footage, debriefing. not included: jump tickets for you and the organizer. Cost for the organizer ticket will be shared among participants). If you wish for a Flight Club skydive organizer to travel to your home drop-zone, a USD 200.00 guarantee/ day and a 5 day minimum booking requirement apply together with a surcharge to compensate for air-fare, transit and accommodation. If you want to fly with a skydive organizer, feel free to visit us at the Flight Club skydiving school. To reserve your personal slot prior to arrival at the drop-zone, to schedule a skydive organizer exclusively for your group, or to request a Flight Club skydive organizer to travel to your home drop-zone, please send us a booking request. Flight Club coaches engage skydiving students of various levels of proficiency (ranging from novice to advanced) with the goal to help them master individual skills sets, or to guide them through entire stages of the skydiver skills development progression grid. Flight Club skydive coaches work exclusively in an one-on-one environment. Flight Club skydive coaching programs are available for formation skydiving, free-flying and canopy piloting. These skydive coaching programs will keep you engaged for a series of skydives, require a good amount of focus and dedication and last anywhere from a day to a week. Thus, skydive coaching ranks as the 2nd level of commitment on the student-coach engagement scale. On a smaller scale, the "skills development progression grid" further brakes down the process of learning to master any flight attitude, into a core sequence of 5 + 1 individual skill sets. Most people will pick up this entire 5 module sequence in about 20 training jumps. safely approach the base, to dock, to release, to stay on level and maintain proximity, to complete a mini-series of random formations before safely and efficiently breaking off and deploying clear of other jumpers. Once all this is in place, the foundation has been established. The show goes on from here with transition training, starting the move from a neutral body position in the current flight attitude and stopping the transition in a neutral body position of the succeeding flight attitude. In a similar approach to free-fall skills training, any skydiver has to master a variety of skill sets (that is in order from simple to complex) of the canopy piloting skills development progression grid, in order to maintain a safe training environment and in order to train with maximum efficiency. 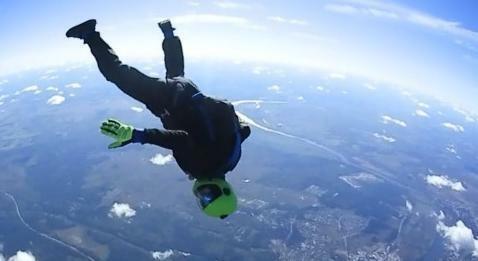 The Flight Club skydiving school at Aerograd Kolomna fields some world-class free-fall skydiving and canopy piloting coaches who will work with you in a one-on-one format starting at USD 360.00/ day. (including: 8 jump/ day minimum, tuition fees, in-air and landing video footage. Should you get weathered out before jump 8 of the day, we will wave the daily fee and bill you USD 40.00 per jump instead. If you book 6 days in a row, day 7 will be on the house. not included: jump tickets for you and your coach. Equipment rental in case you do not own a rig). If you wish for a Flight Club free-fall skydive coach or a canopy piloting coach to travel to your home drop-zone, a USD 360.00 guarantee/ day and a 5 day minimum booking requirement apply together with a surcharge to compensate for air-fare, transit and accommodation. THINKING OF A PROFESSIONAL CAREER IN THE SPORT ? Flight Club hosts upon request a variety of skydive instructor rating courses which can help you qualify for USPA Coach- and USPA AFF instructor ratings and UPT endorsed Vector/ Sigma tandem instructor ratings. 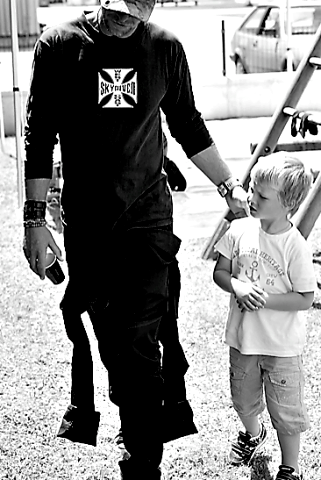 guiding you from way-point to way-point towards the finish line. Thanks to our experience, know-how and a professional- and social network spanning across the entire planet, Flight Club has been able to help heaps of fellow skydivers move forward and find a solid footing in the industry over the years. You too, can be one of them. Every 10,000 mile journey starts with one initial step. Contact us. Get in touch with us, tell us about your project and let us know how you believe we might be able to be of assistance. Simply drop us an inquiry and we'll be sure to get back to you in no time. Mentoring by nature requires you and your coach/ mentor to share a considerable amount of time with each other while heading down a common path. In order for you guys getting to the end of that road together, a whole lot of sharing, understanding and supporting will have to be done along the way. It will take determination, discipline, endurance and trust at every corner and at every intersection along the way. Therefore, a student-mentor relationship plays out on the 3rd and highest level of commitment on the student-coach engagement scale and will typically last at least one, typically several skydiving seasons. In order for us to help, we do need to understand what exactly it is you wish to accomplish. Do you want to become a skydiving instructor, compete at the world championship, open an aviation business, run a drop-zone, need networking assistance in the industry, or do you simply want to be the best that you can personally be in any specific area of the sport? is the ball rolling already or are we dealing with a start-up, what do you bring to the game in terms of relevant experience, skill, know-how, cash, equipment, time and man-power? Once we do have a clear picture of the prevailing circumstances, we can start working out a plan together. Let us know. Chances are we have somebody in Flight Club who has been there and done that and thus, knows what to do.